There’s one designated day on the calendar to celebrate mothers. Of course, moms should be shown appreciation and love everyday and some may argue that Mother’s Day is just another holiday to generate retail sales. This may be true, but I along with millions of other people buy into the celebration. For me, it becomes a fun challenge to try and do something unique and special each year. 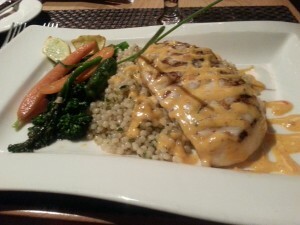 When I was a child my mom and I would usually celebrate with an overpriced Sunday brunch, which was nice, but wasn’t entirely unique. 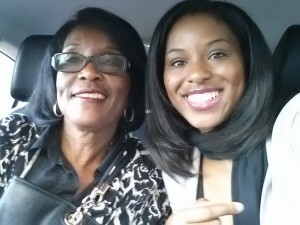 As I got older, I overtook the planning of Mother’s Day and my mom would say things got a bit more fun to say the least. In the past, we’ve done things like getting massage treatments, wine tasting in Solvang, CA, horseback riding in the Hollywood Hills, a jazz show and dinner, and a food tour in Little Tokyo. This year, I thought I would turn it up a notch. 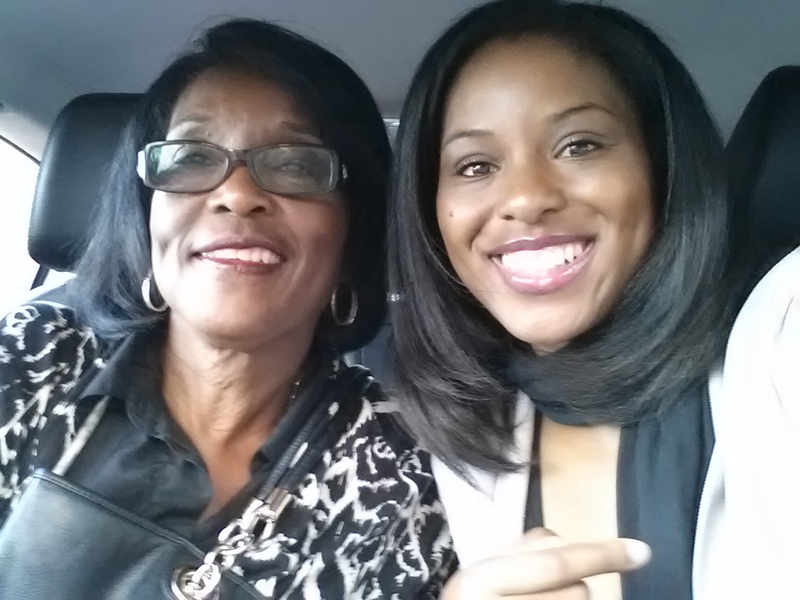 After all, I only have one mother and she’s definitely worth celebrating. 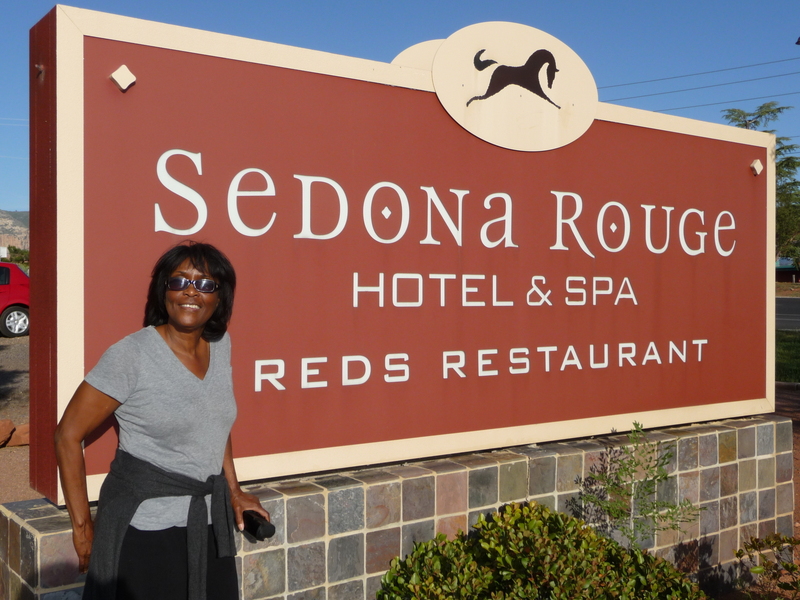 So I decided we would celebrate in Sedona, Arizona most notably known for its picturesque red rock mountains and the endless opportunities to relax and unwind from our daily routines and busy schedules. 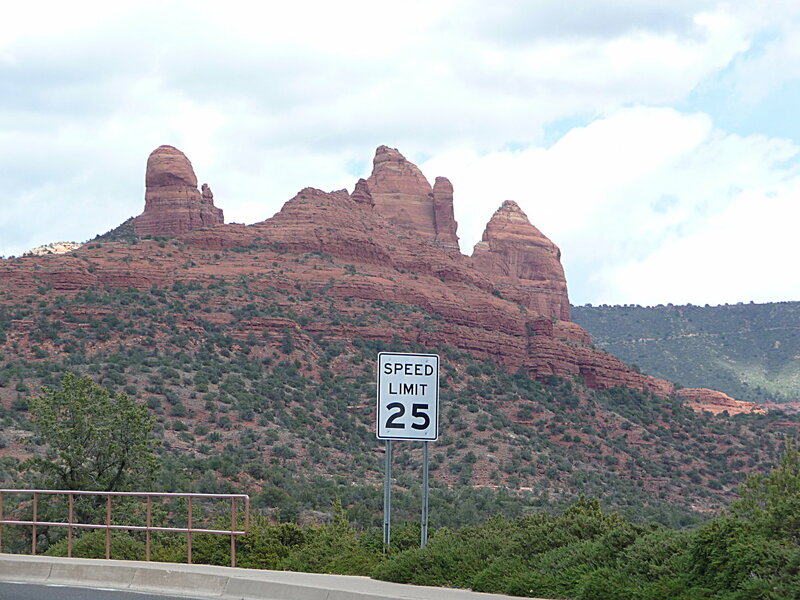 We anxiously made the seven hour drive from Los Angeles to Sedona. It was our first time visiting and we were excited to see what Red Rock Country had in store for us. 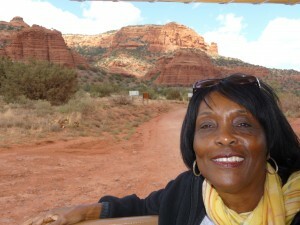 As we drove along Highway 89-A I knew I had chosen the perfect destination to celebrate this year’s Mother’s Day. The red rock mountains slowly began to reveal themselves and the view eventually opened up to a panoramic shot of one of Arizona’s most beautiful landscapes. 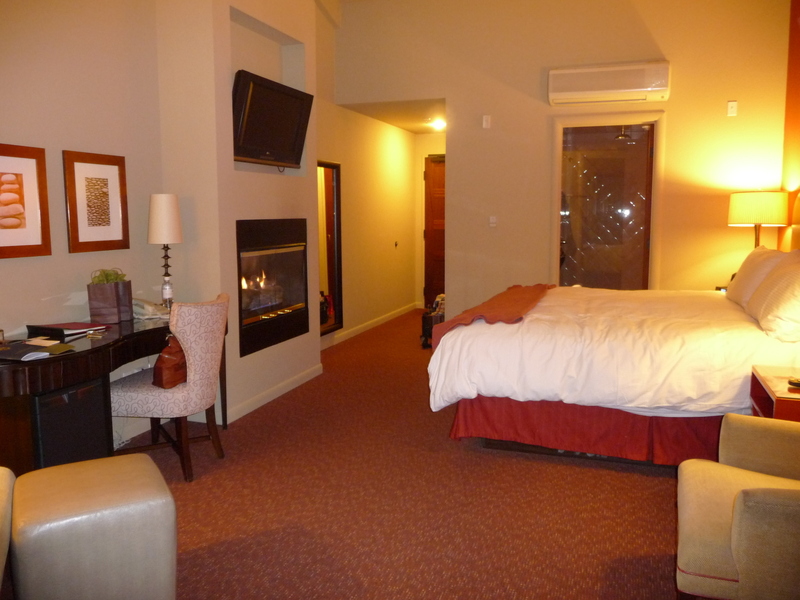 There are a number of hotels to choose from, but the key is to choose one that is centrally located, provides a relaxing environment and has a number of spaces throughout the property that offer unobstructed views of the red rock. I found the Sedona Rouge Hotel and Spa to offer just that and more. 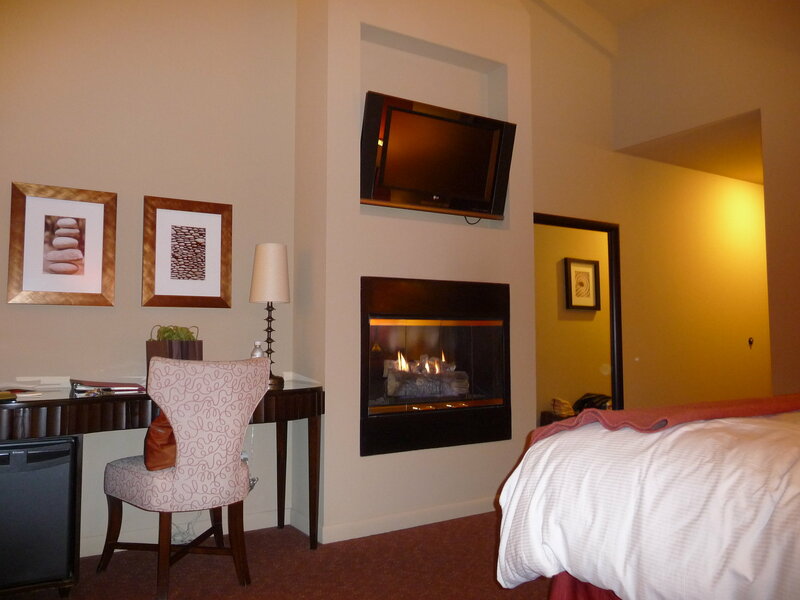 The hotel is located on the main road in Sedona, which gave us easy access to all other attractions and activities. 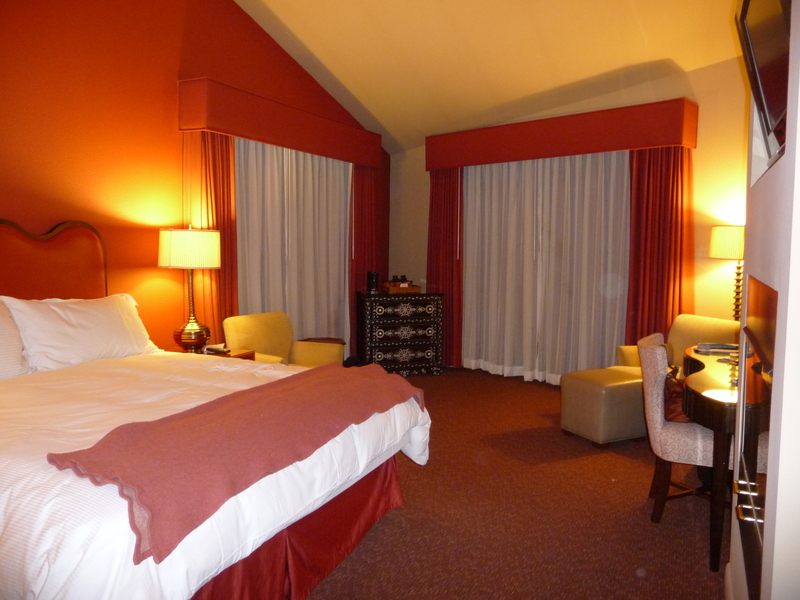 I found the rooms to be reasonably priced, nicely decorated, comfortably spaced, and offered a great balcony view of the red rock mountains. Score! As tempting as it may have been to lounge around the pool at the hotel amongst the great scenery, my mother and I opted for a hands-on approach to achieve maximum relaxation. 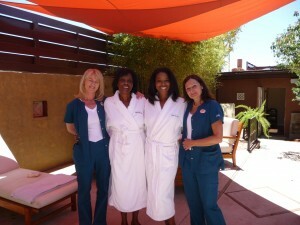 We headed to Sedona’s New Day Spa in town. 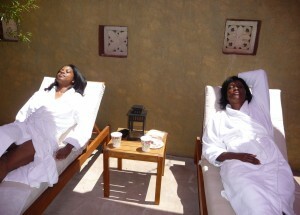 Time slowed down the moment we walked into the spa and we had no complaints. The relaxing atmosphere overtook us leaving us in no rush to leave the mini oasis. 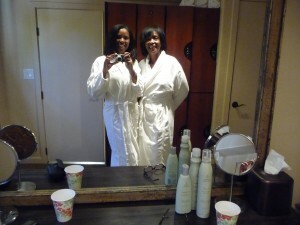 We were escorted to the changing room and were given plush robes and slippers. My mom chose the Turquoise Sage Mountain Arnica body treatment and I opted for the Cedarwood Citrus Wild Chapparal treatment. It was 90 minutes of bliss for the both of us. 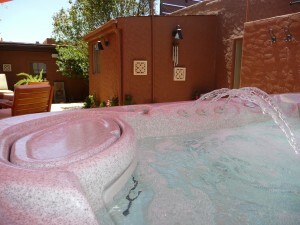 After drowsily getting up from our massage tables we were escorted to the outside deck. The relaxing continued as we were invited and encouraged to stay and enjoy the outdoor lounge chairs, jacuzzi hot tub, an assortment of teas, fresh fruit and other tasty snacks. 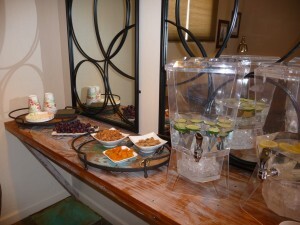 Mom was doing a darn good job at enjoying the special treatment. 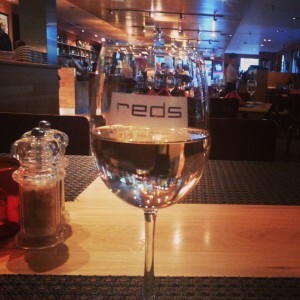 Later in the evening we returned back to our hotel for dinner. REDS is the on-site restaurant making it convenient for guests, but is also a local favorite as they have nightly entertainment and a well crafted menu. Chef Andrew was running the kitchen the particular night we dined. 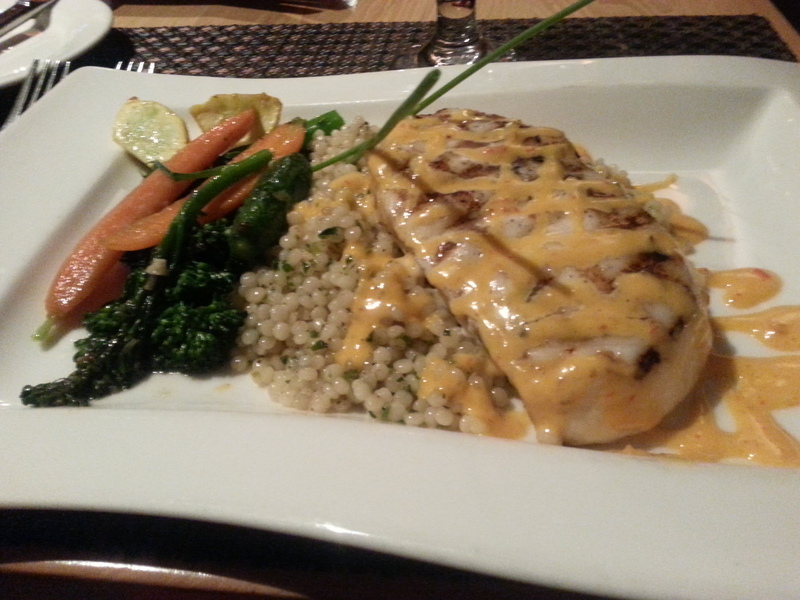 Mom wanted something light and ordered the Sea Bass with couscous and fresh veggies. 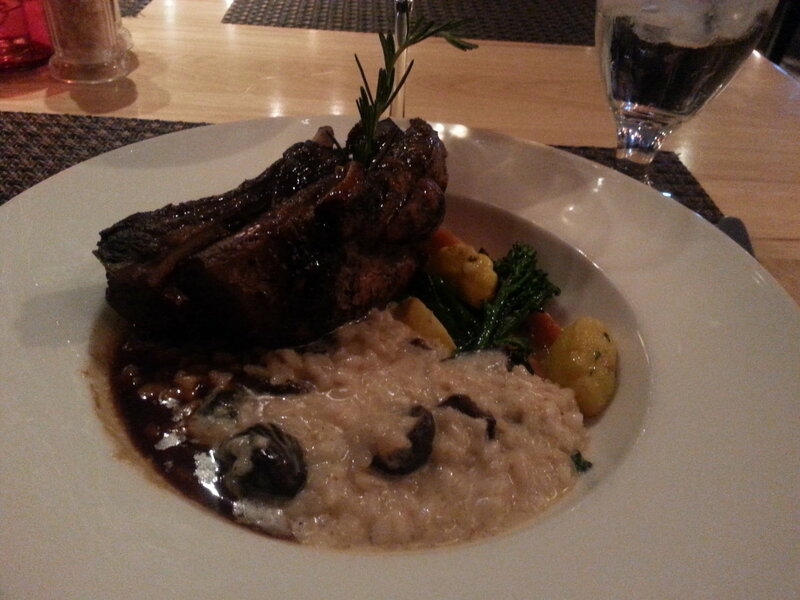 I on the other hand did not hold back not one bit and savored every morsel of my Braised Pork Kahrabi Ribs served with fig risotto and fresh veggies. Satisfied and stuffed to the brim, we retreated to our room and enjoyed the warmth from our in-room fireplace. 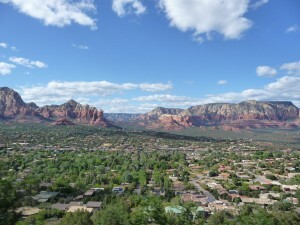 The next day was our last full day in Sedona and we were on a mission to see as much as we could. 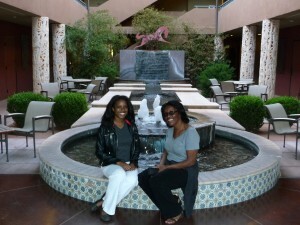 We began our day in Uptown, which is Sedona’s downtown. 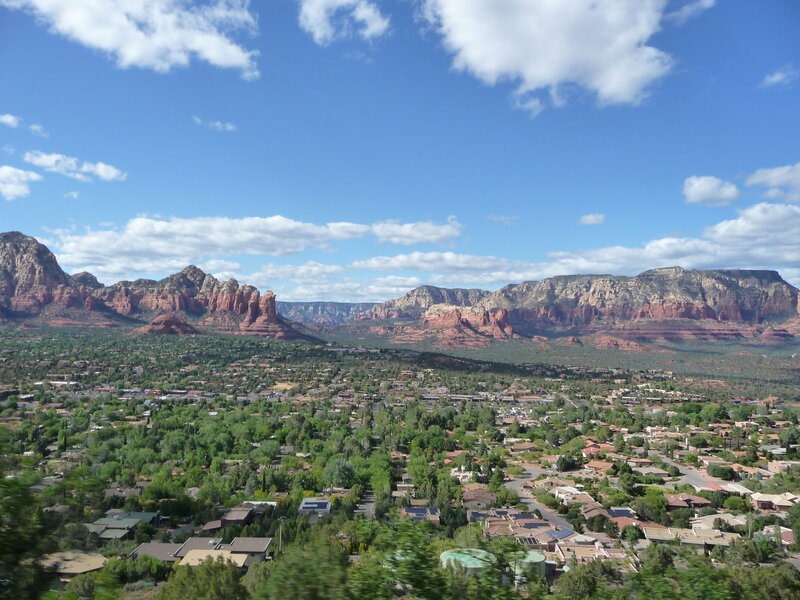 It’s nothing to write home about, but there are plenty of restaurants to choose from and souvenir shops to pick up a memento of your Sedona getaway. Later, we headed to Tlaquepaque, Sedona’s arts and crafts village. It houses a number of art galleries and shops. 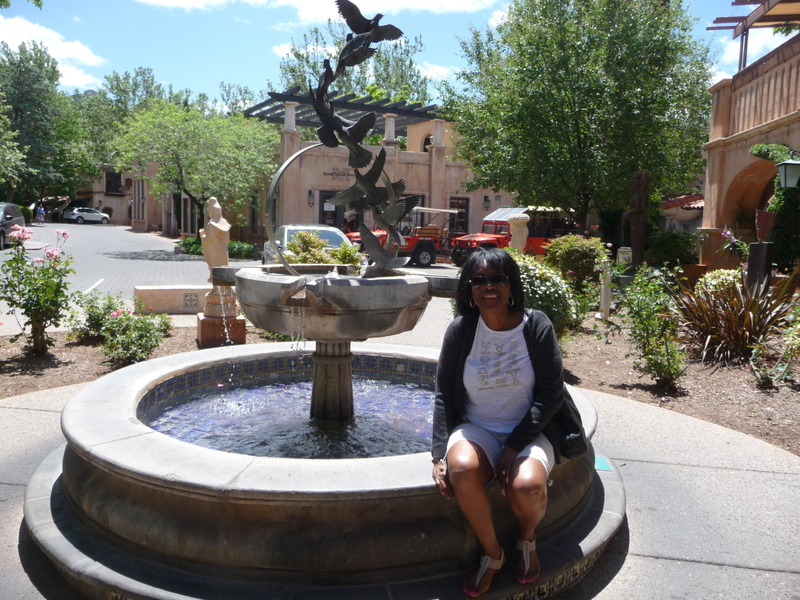 Art galleries aren’t so much our thing, but it still made for a nice stroll as Tlaquepaque is fashioned after a traditional Mexican village and had a nice candle and a couple dress shops to check out. The shopping was cool, but we wanted more of the red rock. We wanted to get as close to it as we could. It’s what you come to Sedona for. 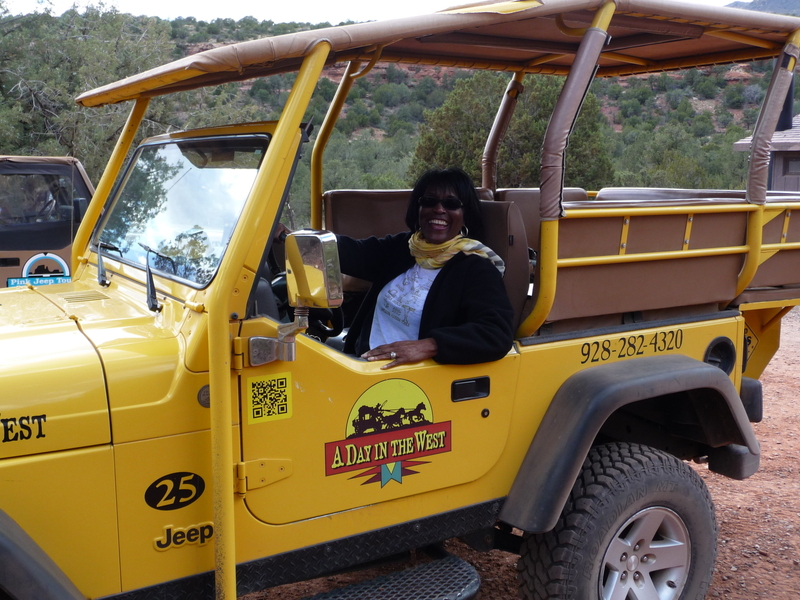 We were booked for one of Sedona’s most touristy activities…a jeep tour through Sedona’s red rock mountains with A Day In the West. 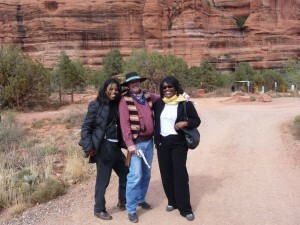 I know, nothing about us doing a jeep tour in Sedona is original. 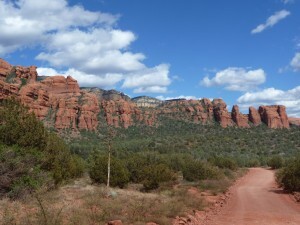 Afterall, I would bet money that 98% of the people that visit Sedona do a jeep tour during their stay. 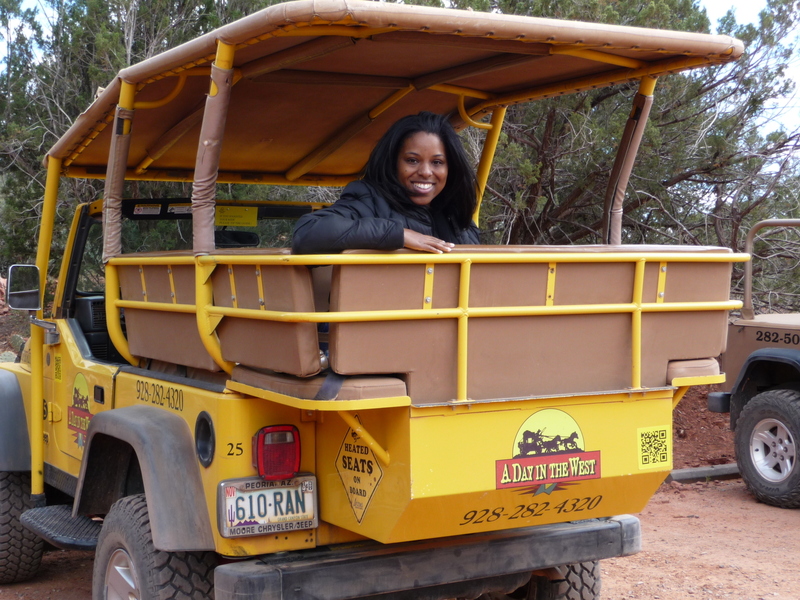 However, I have to admit it was pretty darn fun and probably one of the best ways to get a more intimate view of the red rock along with receiving a lot of interesting information about the local area. Our guide T.C. was very humorous, handled the rocky road like a pro, and made plenty of stops for us to snap the best photos. 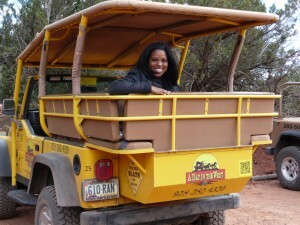 There’s no doubt about it, our jeep tour was one of the highlights of our trip. Just before sundown we headed up Airport Rd. 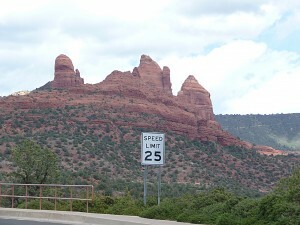 From town it seems to be an ordinary residential street, but take the road all the way up to the top and you are welcomed to a great lookout point overlooking all of Sedona. 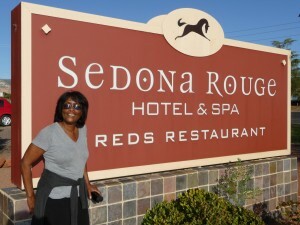 It’s a great place to catch a good sunset and for us it made a fabulous close to our Sedona Mother’s Day getaway. 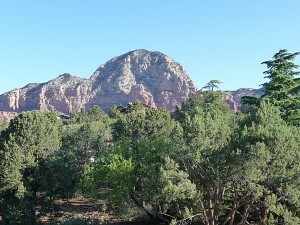 The next day, we headed out Highway 89-A getting one last memorable view of the red rock mountains. Needless to say, my mom thoroughly enjoyed our travels to Sedona…my only mistake was not booking a longer stay. I guess there’s always next year.